These unique shaped awards are perfect for the star of any event! 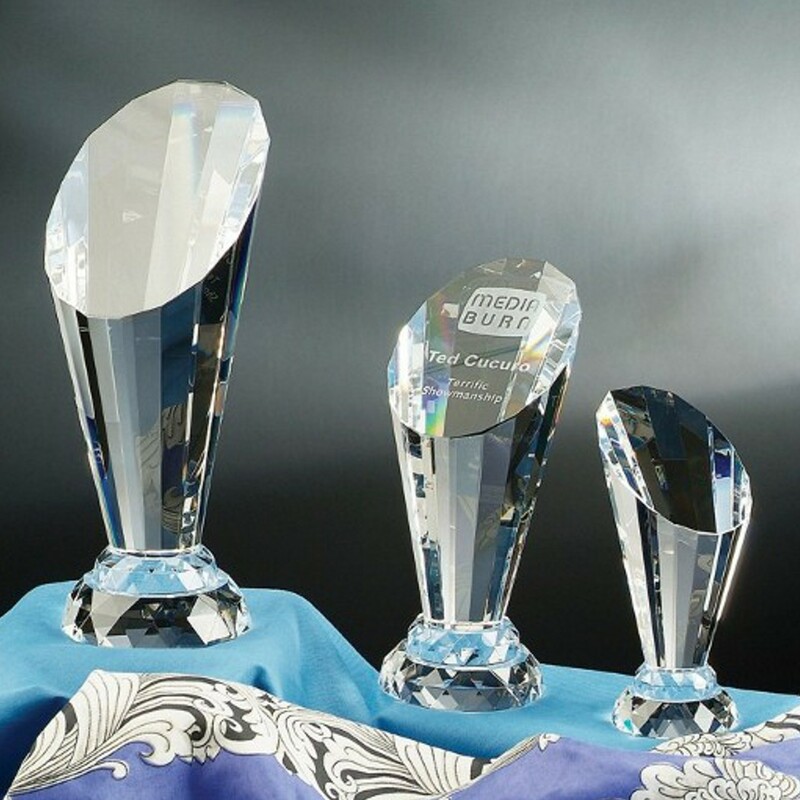 The Faceted Spotlight Crystal Trophies are available in two great sizes and feature a multi-edged outside and a faceted base. The large spotlight face displays your logo and message, etched for free!